So, you adopted a pair of adorable kittens from a kind neighbor. When you took them to the vet for their first checkup, they did great in the physical exam, but their blood samples showed something odd: The cats were positive for feline leukemia (FeLV). What does that mean? And what does it say about these sweet kitties’ future? Here are some fast facts about this disease, which occurs in about two to three percent of cats in the United States. In humans, leukemia is a cancer of the blood and bone marrow, but feline leukemia is a virus. The feline leukemia virus can cause cancers, however. FeLV-A occurs in all cats infected with the virus. It causes the suppression of the immune system that makes the disease so dangerous. FeLV-B occurs in about half of infected cats, and it causes tumors and other abnormal tissue growth. FeLV-C is by far the rarest, found in only about one percent of infected cats, and causes severe anemia. FeLV-positive cats can have one, two or all three types of infections. According to the Cat Owner’s Home Veterinary Handbook, healthy adult cats can fight off the virus for a long time, even with long-term exposure. Kittens and young cats have less resistance, though. The virus won’t even appear in a blood test until the cat has been exposed for at least four weeks. 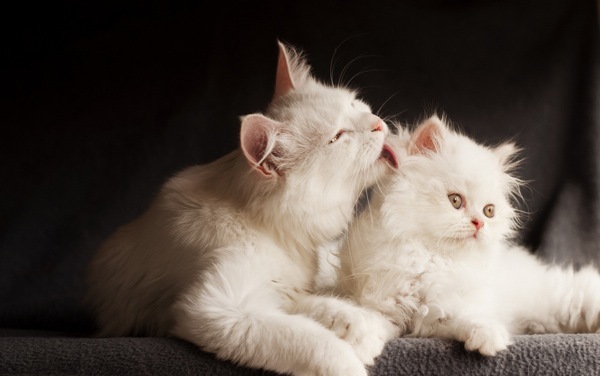 About 30 percent of exposed cats don’t get infected at all. 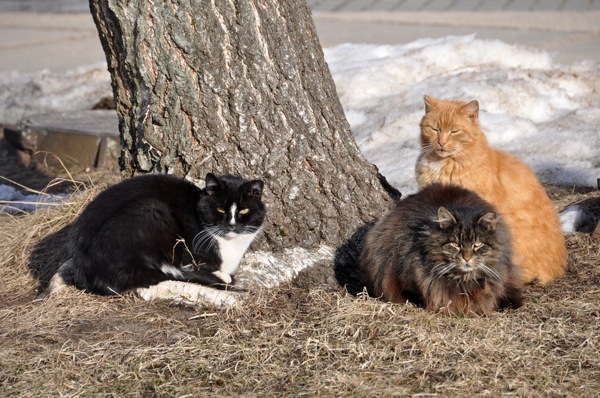 Another 30 percent develop a transient infection — the virus is present in their blood and saliva for less than 12 weeks, after which they are cured and aren’t contagious to other cats. Between five and 10 percent of exposed cats develop a latent infection: The virus is no longer in their blood and saliva, but it still lives in their bone marrow. These cats can start shedding the virus again under stressful situations or transmit the virus to their kittens in utero or through breast milk. But 30 percent of exposed cats do develop a persistent infection; they remain contagious and have a much shorter life expectancy. A mother cat infected with FeLV has a higher chance of spontaneous abortion of kittens, resorption of the fetuses and stillbirth. Feline leukemia is also a possible cause of some cases of "fading kitten syndrome." Of the 30 percent of exposed cats who develop a persistent FeLV infection, about a third develop a virus-related cancer. The most common type is lymphosarcoma, also known as lymphoma, masses that can be found in the lymph nodes in the groin, chest, armpits and neck. Lymphosarcoma sometimes spreads to other organs such as the eyes, brain, kidneys and other organs. The virus can also cause the blood cancer known as leukemia, but that’s much less common. Leukemia-positive cats must be kept indoors and fed the best possible diet. 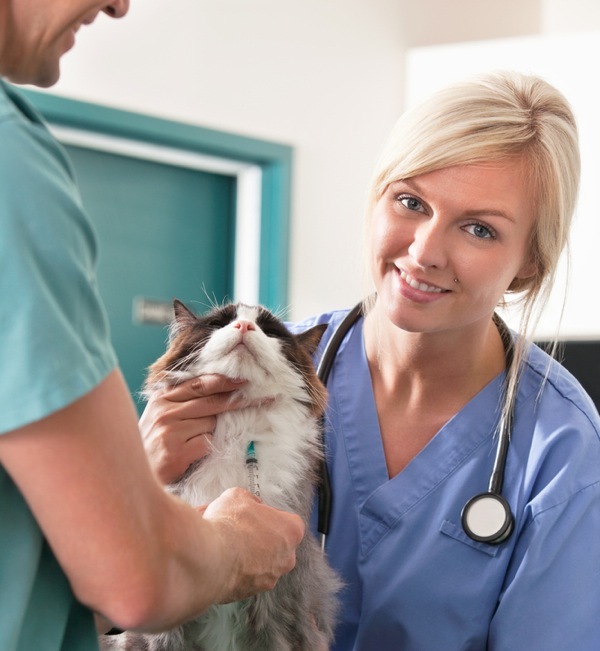 Regular vet checkups are crucial for maintaining health. They may not live as long as other cats, but they can enjoy a good quality of life as long as they receive excellent care. Because FeLV-positive cats’ immune systems are weak, they need aggressive treatment of any infections. Some vets recommend using immune system-boosting medications like interferon and Lymphocyte T-Cell Immunomodulator, but the jury is still out on how effective these treatments are. Do you have an FeLV-positive cat? What have you done to keep him or her as healthy as possible? Have you used any of the newer immune-strengthening therapies, and if so, have they had any effect? Please share your stories in the comments!